Bath Rugby have made one change to the starting line-up for the round 11 clash against Leicester Tigers in the ongoing Gallagher Premiership to be played on Saturday at the Recreation Ground. Matt Garvey makes a comeback to co-captain the side along with Will Chudley in the place of Dave Attwood, who is out of the matchday 23. The other change comes in the bench with Garvey's place being taken by Rhys Priestland as Todd Blackadder's men will be hoping to build on the momentum from their 14-24 win over Wasps last week. 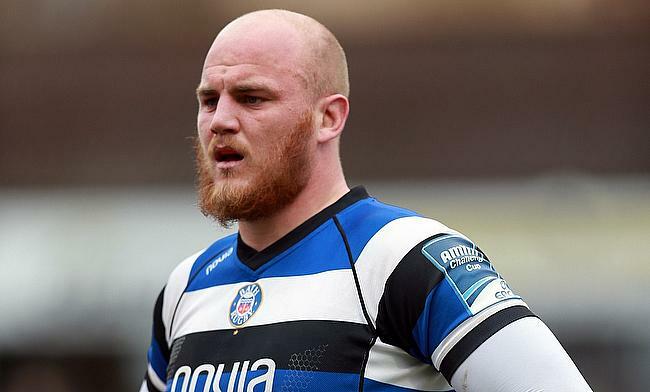 Bath are currently positioned seventh in the table with four victories from 10 games. Bath XV to take on Leicester Tigers: James Wilson, Semesa Rokoduguni, Max Wright, Jamie Roberts, Ruaridh McConnochie, Freddie Burns, Will Chudley, Nathan Catt, Tom Dunn, Henry Thomas, Matt Garvey, Elliott Stooke, Tom Ellis, Sam Underhill, Francois Louw.